Fun Adapted Family Games for families with someone who is disabled. 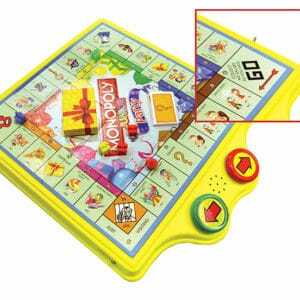 Now everyone can join in on the fun with these switch adapted games – Adapted Pie Face, Adapted Bingo, Adapted Monopoly Junior, Switch Adapted Tic Tac Toe, and more. Family game night is a lot more fun when everyone can play and learn. 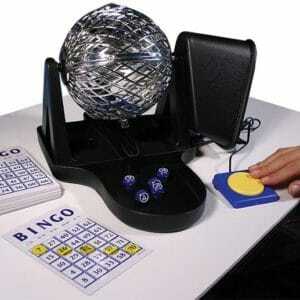 Just activate your switch and the bingo cage rotates, dropping a number ball into the tray. 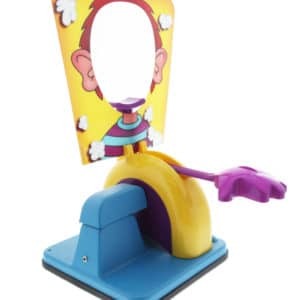 The fun never ends with this versatile toy that enables users to play hundreds of different games! 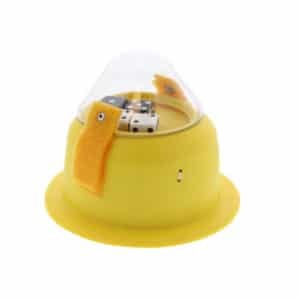 Activate the spinner by pressing the sides or lip of the spinner or by using a switch. Original Price: $93.95. FINAL SALE - NON-RETURNABLE. 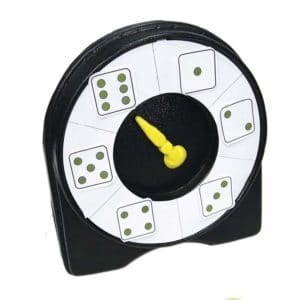 It’s a sure bet that everyone will love our adapted dice roller. We've adapted this classic game that teaches students to recognize words and identify pictures. America’s favorite game now comes in an adapted version. 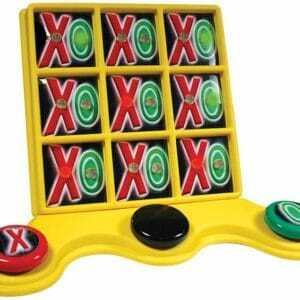 Great for game night, this switch activated spinner means everyone can play! An adapted version of the classic toy! Get “tic tac toe” by activating a switch that lights up LED squares in a horizontal, vertical or diagonal direction. These indoor games for special needs have modifications that let people with disabilities play. We offer everyday games like board games and bingo adapted for people with a wide range of motor and intellectual abilities. Since we specialize in switch adapted toys, many of our game products work with ability switches. The player presses their adaptive switch to activate the game. 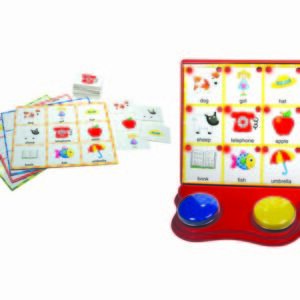 Some of our simple games for special needs also have bigger buttons for people with different motor skills. Everyone can have fun with these accessible toys. Who Can Benefit From Adapted Games? Special education classrooms: A special needs class uses play to help students discover the world. Thanks to board games for special needs, teachers can include everyone in both group and individual activities. Play allows students with disabilities to learn social skills and logic. Families: Family caretakers and parents can buy our board games for adults with intellectual disabilities and children with special needs. 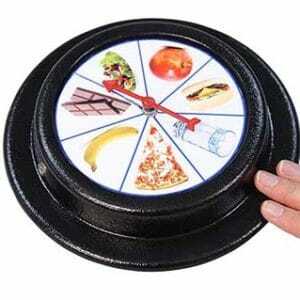 These products let people of all abilities play with their loved ones and learn life skills like cooperation. People with motor disabilities: Children and adults with motor disabilities can play strategy-heavy games, but they need a few modifications. Larger buttons and switch adapted dice let them play the board games of their choice. As a result, people of all motor abilities get to have fun together and socialize. Offer a wide range of games: Different games suit unique physical and intellectual abilities. Make sure to include activities that challenge people with and without intellectual disabilities. For example, you can offer Hi-Ho Cherry-O for people learning how to count and Monopoly for those who like strategy. Both of these games come with an adapted spinner or dice roller. Remember to provide spinners and dice rollers so that you can adapt typical board games. Accommodate every kind of sensory need: Some people with disabilities can feel under or overstimulated, especially during a group event. Keep stim toys on hand, and provide a quiet, dark place where participants can take a sensory break. Have teachers, aides or parents available: Everyone can use a little help from time to time. Keep extra support staff on hand for people who need assistance. Parents and caretakers who know the participant can also help them have a blast. At Enabling Devices, we understand that everyone has unique abilities. That’s why we offer custom toy adaptation. We can create brand new products or make an existing game accessible. If you have a specific product in mind, get in touch with our product development team. Call 800.832.8697 X320 or contact our staff online to learn what we can make for you!